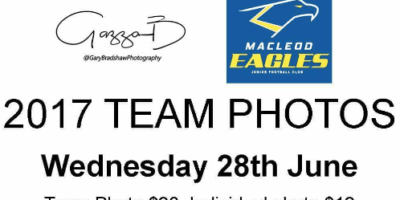 A reminder for all that 2017 Team Photos will be held at the club on Wednesday June 28. See below for schedule of times. Please be prompt for you photos, as we have a lot to get through!